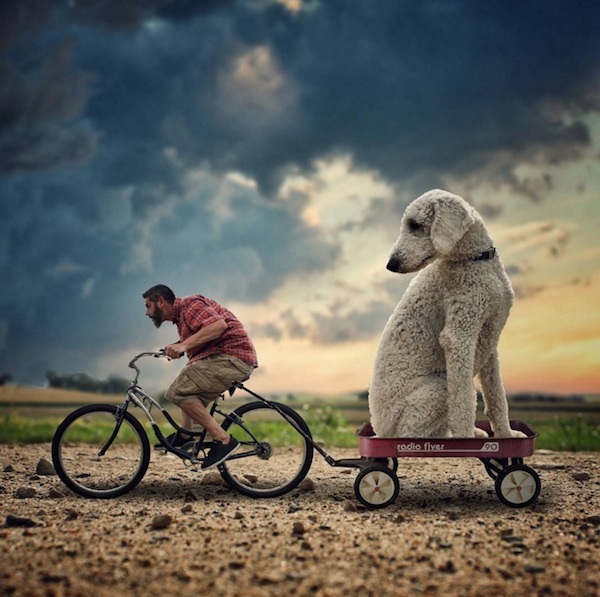 Minnesota-based photographer Christopher Cline creates fun images of himself with his “gigantic” pooch ‘Juji’ on various escapades. After moving from Virginia to Minnesota several years ago, Cline found himself severely homesick. In an attempt to cheer him up, girlfriend Christine brought ‘Juji’ back home. After ‘Juji’ became a part of his life, Cline began dabbling in Photoshop as a means of expressing his creativity. He says that he enjoys having his edits take on a “children’s book feel”. Have a look at his work below and follow him on Instagram account ‘christophercline’ or stay updated via Facebook.